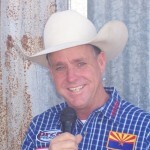 Announcer | Yuma's Best Professional Sports Event! Don’t want to wait? Pick up your tickets at one of our outlets!